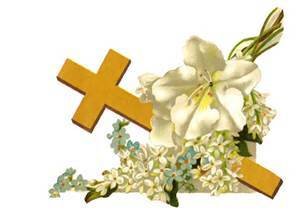 A Celebration of Life for Mrs. Evelyn Rebecca “Becky “Moore Cohn, 68 of Decatur, AL. will be 1:00p.m. Saturday, January 26, 2019 at Kings's Memorial U.M. Church with The Reverend Roderick Stallworth, officiating and inhumation in Decatur City Cemetery. Family visitation and repast will be from 11:30 a.m. to 12:30 p.m. in the fellowship hall of the church prior to funeral. Evelyn Rebecca (Becky) Moore Cohn was born in Decatur, AL to Evelena Troupe Moore and Mayfield Moore, Jr. on December 31, 1950. She departed this life on January 22, 2019 at Huntsville Hospital. She joined Garner Memorial CME Church and later united with King’s Memorial United Methodist Church. Becky attended Cherry Street Elementary, Lakeside High School and one year at Calhoun Community College. 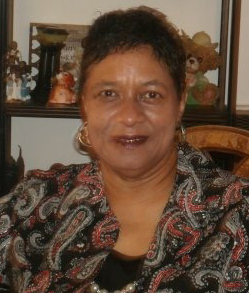 She worked at G. C. Murphy Company; The Tatum House; and retired from South Central Bell with 39 years of service. She was preceded in death by her parents; brothers, Ike Smith and Luther Smith; sister, Sadie Newman. Becky is survived by: her husband, Eugene Cohn of Decatur whom she married on November 21, 1969; two sons, Frederick Eugene Cohn and Juan M. Cohn (Lakesha) both of Decatur; two stepchildren, Shannon Raybon Williams of Decatur and Shawn White (Pamela) of Madison, AL; a brother, Willie Moore (Alvonia) of Decatur; sisters-in-law, Janice Pointer (James), Sheila Foster (Sammie), Paula Moody (Jessie) all of Decatur, Frances Smith of Chattanooga, TN; brother-in-law, Minor Cohn (Reva) of Jacksonville, AR; five grandchildren, Stavalas, George, Raeshad, Jamares, Adasia of Escondido, CA; a host of nieces, nephews and great-grandchildren.